Fly Blue Crane is the latest airline to launch in South Africa and their first scheduled flight took off on the 1st of September 2015. Tickets went on sale on the 25th of August 2015 but the airline had to suspend operations in early 2017. Although the airline had a good track record for arriving on-time, they still had financial difficulty. In late 2016 Fly Blue Crane entered business rescue and on the 3rd of February 2017, the airline announced that they had to discontinue flights indefinitely as they restructure their opperations. Despite similar names the airline has confirmed that they are not a subsidiary from Blu Crane Air and that they are in no way related. Fly Blue Crane set themselves apart by operating on the road less travelled. They offered flights from Bloemfontein, Cape Town, Kimberley, Nelspruit, OR Tambo and Windhoek. Fly Blue Crane operated two daily flights between Johannesburg and Mthatha from the from the 1st of October 2016. Prices on the route will started from R799*. “A flight between these two cities would usually cost at least R2 400, so this flight will be a huge saving for travellers,” the MEC said. Fly Blue Crane operated flights between Johannesburg and George on December 15, 17 and 22, and January 2 and 7. Flight 7B800 will depart Johannesburg at 09h30 and arrive in George at 11h25. Flight 7B801 will depart George at 12h00 and arrive in Johannesburg at 13h55. Fly Blue Crane has said that there is a very high demand on those dates, which is why they have introduced these flights on those date only. At the moment they won't be adding further flights on this route. Fly Blue Crane operates three daily flights from Mondays to Fridays, with one flight on Saturdays and Sundays. This route has been cancelled and the last flight took off on the 8th of January 2016. They did state that they might reconsider the route in the future. Fly Blue Crane operated three daily flights from Mondays to Fridays, with one flight on Saturdays and Sundays. This route is not operational. The airline offered one flight per day on Friday, Saturday and Sunday. The schedule will be announced shortly. 24 November 2017: Fly Blue Crane has announced that they have had to enter Business Rescue as a way to avoid insolvency. The airline has assured travellers and the media alike that although prospects currently aren't as bright as they were, there is still a reasonable possibility to turn that around. 5 October 2016: Fly Blue Crane's first Joburg - Mthatha flight took off on the 1st of October, as scheduled. They are now offering competitive airfares on this route, with 12 flights per week (2 on weekdays and 1 on Saturdays and Sundays). 23 May 2016: Fly Blue Crane announced that they will soon be adding more regional routes into Africa. They have recently been granted rights to operate flights from Johannesburg to Maputo, Mozambique and Manzini, Swaziland. Starting dates will be finalised as soon as the airline receives their foreign operator permits from Mozambique and Swaziland. The airline will have to rent two additional ERJ-145s to operate on the new routes. 16 May 2016: Fly Blue Crane's first Cape Town - Windhoek flight was completed succesfully on the 13th of May 2016. Exact flight schedules will be announced soon, but the airline has suggested that it will compliment existing services offered by other airlines. 18 March 2016: Fly Blue Crane applied for an international air service licence yesterday. If this gets approved, they hope to launch regional flights from Johannesburg to Swaziland and Maputo. They will know in about three weeks whether their request has been approved. Fly Blue Crane applied to operate Swaziland flights seven times a week and Maputo flights twelve times a week. 18 February 2016: Fly Blue Crane has partnered with First Car Rental which has a strong presence in Kimberley and Bloemfontein, both areas that Fly Blue Crane are hoping to expand in. The airline has also revealed its plans to introduce flights to Namibia and Mozambique, and also eventually Botswana, Zimbabwe and the Democratic Republic of Congo. 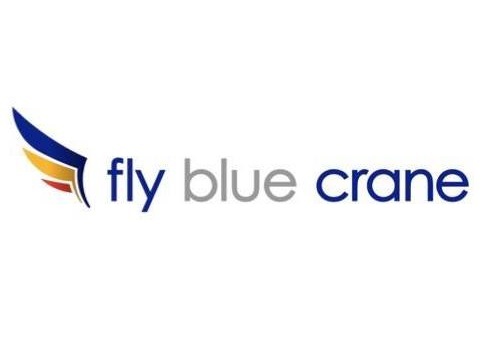 8 January 2015: Fly Blue Crane announced yesterday that they are making the Cape Town - Kimberley route permanent. This was due to an overwhelming response and tickets are already available for bookings beyond the original cut-off date, the 17th of January 2016. The airline further announced that they are discontinuing their Nelspruit- Johannesburg flights. November 2015: Fly Blue Crane are adding seasonal flights from Bloemfontein and Kimberley to Cape Town! The airline that started out operating Johannesburg - Kimberley and Johannesburg - Bloemfontein flights has added daily Cape Town flights from the 12th of December 2015 and the 17th of January 2016. There will only be one return flight on each route per day and prices will start from R999. Siza Mzimela, Ex-CEO of SAA and SA Express, joined forces with Theunis Potgieter and Jerome Simelane, both also ex-SAA executives to start Fly Blue Crane. Fly Blue Crane originally applied for their Air Services Licence in May 2014, saying that they expected little opposition as they were aiming for the under-serviced routes. Fly Blue Crane positions themselves somewhere between the low cost airlines and the full service carriers as they operate smaller aircraft at affordable fares yet still offer most of the services associated with a full service carrier. Fly Blue Crane has a very generous approach when it comes to travelling with those under the age of 12 years. You can check in online for your Fly Blue Crane flight on their website. Additional bags can be purchased online, through the call centre and at the airport. *Check the most up to date prices on their website. Additional fees apply if the additional bag weighs more than 20 kg. *Check the most up to date prices on their website. Sport equipment that falls within the paramater of the free checked baggage will not incur extra fees. Any sporting equipment not listed below will be included in the free baggage allowance applicable to the passenger’s fare type. On Tuesday, the 1st of September 2015, Fly Blue Crane launched their inaugural flights from Johannesburg to Bloemfontein and Kimberley. Nelspruit flights will be launching on the 7th of September 2015. They will initially make use of 50-seater Embraer Regional Jet 145 (ERJ) aircraft. Making use of only aircrat -type will simplify all the processes for the staff members. They are considering leasing larger aircraft as they continue to expand into Africa. “Fly Blue Crane has anticipated and is positioned to deliver on what customers want – the enhanced convenience of frequent flights through high on-time performance, commitment to consistent service excellence, advanced online technologies that will make the booking and travel process fuss-free, and of course highly competitive fares,” Fly Blue Crane CEO Siza Mzimela said in a statement. “We aim to make our mark serving the increasingly commercially significant provincial and regional capitals. Our aim in the coming years is to make air travel an altogether better and more rewarding experience in Southern Africa,” Mzimela said.